Lawyer marketing on the internet has exploded and there are no signs of a slowdown in the growth of lawyer websites. All of your money is wasted however if you cannot combine great positioning on Google with an interesting website that makes an irresistible offer to the potential client. Most lawyer websites either do not position well on Google or are so boring that they do not give potential clients any reason to become excited about you. The ability to update and edit content instantly, without actually calling you webmaster. This included the ability to add additional web pages (not just blog) to jump on breaking news. If you cannot instantly add pages to your website from your desktop computer you are missing out. You should be able to add and to upload video to your site on your own from your desktop. Obviously, consumers expect to find video at your website. Your potential clients want to know you before doing business with you and even before picking up the phone to talk to you. You should not have to pay your web developer tens of thousands of dollars to implement video at your site. In fact, many lawyers are now shooting video in their own offices and instantly uploading them not only to their own site but to the major video sites on the Internet. If your webmaster says that this cannot be done they have simply not kept up with cutting-edge technology. The ability to upload your monthly offline newsletter you mail to clients instantly to your site in a searchable form. You should be mailing a monthly newsletter to your clients. You should not have to call your webmaster in order to upload the PDF of the mailed newsletter to your site. This is additional content that Google spiders love. The ability to know the exact search terms your prospective clients used to find you on the internet. Whenever a client emails you from a link on your website that email should be accompanied by information as to exactly what the potential client typed into the search engine box to find a lawyer. This information is vital and lawyers who have it and understand it are continually re-optimizing their sites for these search terms. You should not have to guess at what words consumers are actually using to find you. The ability to have the full contact information collected from a web form imported into a marketing database that kicks off a multi-step, multimedia direct marketing campaign back to interested prospects. What good is it to have people come to your site, give you their information, and then never follow up with them? Your web developer should be able to integrate the data you collect from your online marketing into your offline marketing program. Unfortunately, most web developers are focused on the internet and have no idea what else you should be doing to market your practice, let alone know how to help you do that. The ability to actually convert visitors to clients. Lots of web developers brag about the amount of traffic driven to your site. Basically it's pretty easy these days to drive hundreds, if not thousands of potential clients to your site every month. You need a web developer who understands how to convert visitors to potential clients and then to clients. Clue:it's not having a "contact us" form at your website. Your web developer needs to be able to help you create an "irresistible offer" that will provoke consumers to raise their hand and say "I'm interested, let's start the conversation." Internet marketing for lawyers is fiercely competitive, and there are plenty of vendors and web developers ready, willing and able to take tons of your money without really understanding the total marketing picture. 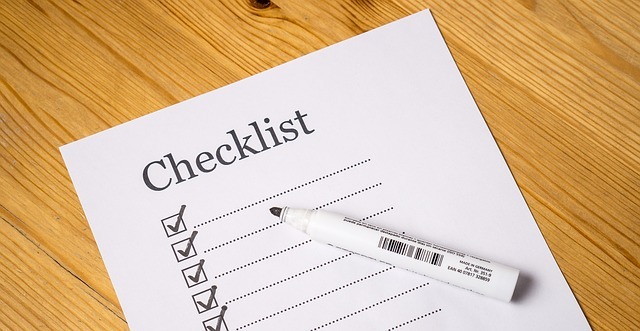 Take this checklist to your developer and demand that they deliver to you what needs to be delivered to maximize the return on your Internet investment.